Newly elected President of the Interfraternity Council Harris Heyer talks about his plans for the IFC's future and what he hopes to accomplish in the next five years. See how his interests in Greek life sparked and how his journey through a strong brotherhood helped him get to where he is today. Heyer discusses below his plans for the future as an alumnus and the mark he wants to leave on the Greek community at Penn. 1.) How do you feel being elected as President of IFC? Obviously there is a great deal of excitement involved in any election, especially to a position with many built-in opportunities to affect positive change across a college campus as large and diverse as UPenn. The position of IFC President at Penn is a position that affords a platform from which to launch programming for the promotion of academics, philanthropy, social development and moral growth-- and being at the forefront of that effort is an honor. Greek life at Penn is strong, and the IFC is at the center of dozens of initiatives that are intended to improve not only Greek life, but undergraduate life as a whole here at Penn. 2.) What are your plans as President? When the transition of the IFC Executive Board occurs, we will have just ratified our new Five Year Strategic Plan, which evaluates the current strengths, weaknesses, opportunities and threats to the IFC, and maps plans for improvement across the major 'arenas' of our involvement in undergraduate life. Obviously, this will have a profound effect on my Presidency, as my term will be devoted to positioning the IFC to meet those Five Year goals after my involvement has ended. The most immediate plans that my board will tackle are part of a campaign we are launching called "Best Year Yet." The main goal of this campaign is to bring our member organizations back to their roots, which are academic success, community involvement, and service. Aside from wellness programming, continuous chapter advising, and event registration policy revisions, which are already being pursued by the current board, we will be developing web-based platforms for the promotion of student groups, pursuing University funding for alternative social programming and educational events, producing our own monthly newsletter, and revamping our Greek Week. Perhaps most importantly, I will personally be encouraging chapter Presidents to take a pledge to be a part of our campaign for 100% participation in community service and philanthropy efforts that I feel are at the core of our function and duty as valued members of the Penn community. To be perfectly clear, these are just some of the initiatives my board will have planned when we transition-- the sky is the limit for the upcoming term, and when the year ends, I will consider our efforts to have been a failure if we have not left a profound mark on the Penn community and positioned the IFC as one of the most integral subset communities within the Penn student body. 3.) Why did you decide to join a fraternity and Zeta Psi in particular? First, nobody can deny that when you are in a fraternity, you have good company almost all the time. When you are in a fraternity, you can send out an email that says "dinner at 6:30?" and within 5 minutes you've got at least two people to go out and grab a bite with. When I came to Penn, I had two brothers that were in my fraternity, who wanted me to explore other options within the Greek community and rush with an open mind. I did, and found that my own interests and values, similar to those of my two brothers, made Zeta Psi the most comfortable option for me. 4.) What has been your favorite memory so far? I think my favorite memory was just after I had signed my bid. My pledge class of ten (small for fraternities at Penn) went out for dinner as a group. We couldn't be more excited, we had already become good friends, and I didn't know if the knot in my stomach was a result of having just joined a great chapter, or whether it was because I had just realized I was a pledge for the rest of the semester. 5.) What are some of your future plans to improve the house or how Zeta Psi is run? 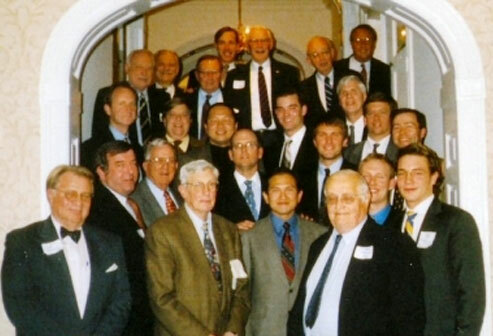 I think the best thing Zeta Psi at Penn has going for it is its diverse brotherhood. Our desire to meet different people, seek new members that have interesting backgrounds and something new to add to our chapter is one of our assets. I hope to be involved with rush for as long as possible to keep that tradition at the forefront of our recruitment efforts. 6.) What is your favorite thing about being in a fraternity? I love that hanging out with a great group of guys can be just as good if not better than some of the most exciting things that happen at Penn. Some of my favorite nights have been completely uneventful-- just a bunch of us sitting around, telling stories, talking about school, or planning a party here or there. 7.) Why would you recommend joining Zeta Psi? Zeta Psi has a great alumni network and support, and we pride ourselves on the diversity across chapters and within each chapter. We are an international fraternity and I genuinely believe that some of the brothers I've never met overseas would treat me as their own if I was ever to knock on their door. 8.) How has being involved in Zeta Psi affected your college years so far? How do you think it will affect your years after college? I think having been a part of this fraternity has undoubtedly affected the course of my life. First off, I have tons of close friends I may never have had the pleasure of making had I not joined the house; but also, it has afforded me social and extracurricular opportunities, such as involvement in the IFC, that I value greatly, and will continue to shape relationships I have throughout college and beyond graduation. 9.) How has Zeta Psi progressed since you've been involved? What have you done to contribute? We definitely have a close bond, and that has always been the case, but our recruitment now focuses on matching pledge classes of students with diverse interests, diverse backgrounds that share a respect for each other, genuine intellectual curiosity, and of course, who love to have a good time. You don't need to know someone in our house to get involved in our rush, you just need to show interest and be yourself. I think within my own house, I have contributed creativity as social chair, and hard work as rush chair along with the co-rush chair at the time and current President John Ladien. We have had two unbelievably successful semesters, strengthened our brotherhood bonds and are now looking to lock down a great pledge class for 2011. Left to Right: Harris Heyer (Wharton Class of 2012), William (Arts and Sciences Class of 2009), PJ (Jerome Fisher Program in Management and Technology Class of 2011). In a recent update, brother Lukas Streiff '06 writes, "As I am based in Berlin while my Australian girlfriend mainly zips around Asia as a TV journalist, I decided to take two months off from my job at McKinsey to be with her in Myanmar, where I volunteered in urban planning and heritage protection. Right after, McKinsey asked me to stay to join one of our first projects in Myanmar, so I'll be based in Yangon for a few more months -- an exciting place at a pivotal time!" We wish you the best of luck Lukas! Don't forget to post your alumni update- tell us any exciting or new information about your life to share with the community of brothers. It was more than a half a century ago that Douglas Simms Stenhouse '57 arrived at Penn and followed his father's legacy by joining Zeta Psi. Stenhouse says it was his Zeta Psi experience that shaped his personal values about community service and contributing to society. While at Zeta Psi from 1954 to 1956, Stenhouse was involved in many community service projects, including food drives for the needy. It was those experiences that have guided him throughout his career as an architect, energy design conservationist and now as a successful artist. "One of the things I remember most about my time at Zeta Psi is that we had a number of programs in the community that helped people. This had an impact on me," Stenhouse said. "When you are involved with an organization that has a lifelong effect on you, you feel you have an obligation to give back something to your community." Stenhouse says he is hopeful that today's brothers are still able to benefit from the rewards of community service because of the powerful lifelong impact it can have on an individual. Following in his father's footsteps, Stenhouse says his father was very proud when he joined Zeta Psi. His father, John Warn Stenhouse '29, was president of Zeta Psi during his era. "Our fraternity is like a family. It is all about family connections. I made dear friends who were my close friends throughout my whole life," Stenhouse said. "One of my dearest friends was George Morris Whiteside, who had a farm in Kennett Square, Pa., where I visited him and his family many times and executed some of my best artwork. He passed away about 10 years ago, but his daughter Sylvia is my dearest godchild. My other roommate was Brandon Hart, my roommate at Princeton whom I attracted to the Sigma chapter." Today, at age 80, Stenhouse volunteers for many community projects through his church. When he isn't volunteering, he is working at his second career as a freelance watercolor artist on the west coast. He retired in 2003 after a successful career as a pioneer in energy conservation architectural designs for buildings. Many of his paintings are exhibited at regional art shows, private galleries and international exhibitions throughout the US, in addition to private collections. He had a private exhibit at the University of Pennsylvania in 2007. Stenhouse has authored a book on watercolor art called, "Doug's Watercolor Painting Book," and he is a signature member of the Philadelphia Watercolor Society. His paintings and prints can be viewed and purchased at www.douglasstenhouse.biz or www.transparentwatercolor.com. Before retiring to focus on his transparent watercolor plein-air painting, Stenhouse was a pioneer in creating building designs for low and moderate housing and energy efficient building designs. In the 1960s, Stenhouse was one of the first employees of the newly created federal Department of Housing Urban Development in Washington D.C. In 1972, Stenhouse moved to Southern California to work several years for a low-income housing manufacturing subsidiary of TRW. He subsequently became the managing partner of Energy Management Consultants which wrote the first building energy conservation performance code for California. Today, Stenhouse and his wife of 46 years live in Torrance, Calif. where he devotes his time painting, teaching and community service at his church.